Robert Morgen experienced a near-death kundalini awakening in 1992 and spent over a decade discovering what had happened and how to adapt to the changes in his life. He’s a Reiki Master with a Black Belt in Hoshinjutsu and a Deputy Black Belt in Combat Hapkido. He created the Work From Home Community, Harmony Sustainable Living Community, The Spiritual Entrepreneur Community and 2 Kundalini Awakening Podcasts. 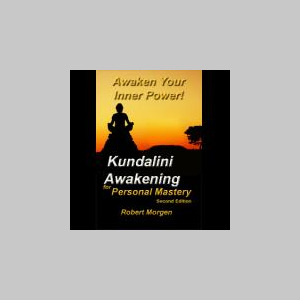 He’s the author of ‘Kundalini Awakening for Personal Mastery 2nd Edition’ ‘The Spiritual Entrepreneur‘ and ‘Easy Meditation for Martial Artists’ and has produced 4 guided meditation CDs. He writes a regular column on subtle energy for Fight Times Magazine and is the creator of the Kundalini Awakening Community. “Robert Morgen’s Easy Meditation CD Set” (ISBN 0-9773801-6-5) is available at amazon.com, retail outlets around the country.